Roads have often been a dangerous place, but in the world of the spirits they can be even more complicated with spectral automobiles flying down twisty roads (such as James Dean's Porsche on Highway 46) , ghostly hitch hikers taking rides from unsuspecting motorists, haunted stretches of road such as Highway 152's Blood Alley, and even ghostly carriages from another century pulled by long dead horses. Below we give you just a few of these ghost coaches that roam the roads of California! 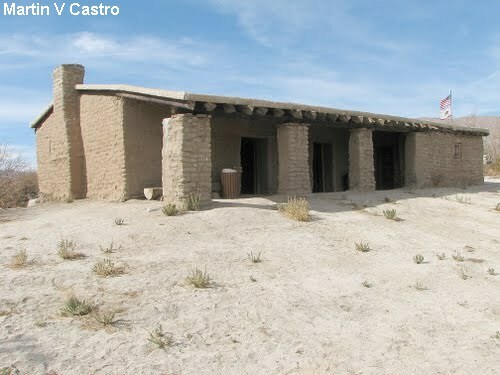 Anza Borrego Desert State Park located east of San Diego is filled with weirdness ranging from a bride to be lady in white that died at Vallecito Stage Coach Station and now haunts the building to an eight foot tall skeleton with a fireball or lantern in its chest. 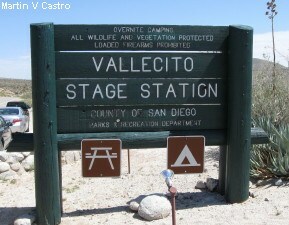 But not far from the Vallecito Stage Coach Station, out on the Carrizo Wash a ghostly stage coach rockets across the desert! Back in the 1860s, a special stagecoach left El Paso, heading towards San Diego carrying a box of coins. 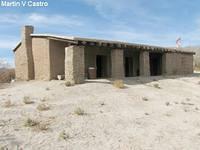 It had one driver and one guard, but regrettably the guard came down sick and stayed behind in Yuma, Arizona. As the stage, now guardless, came between the Fish and Coyote Mountains on the Carrizo Wash, bandits held it up and shot the lone driver. Supposedly, because there were too many soldiers passing by on the trail, the robbers buried the coins on the south slope of Fish Mountain where they remain hidden to today. After the robbery and murder, the stage is said to have continued on through the Wash on its way to Vallecito Station and was never seen again. And now, witnesses at night have seen a phantom stage racing through the Carrizo Wash, the stagecoach's driver slumped over in his seat, no passengers in the stagecoach. The ghost coach races by until out of sight, and in the morning there is no sign of its passing . . . except wagon wheel ruts carved into the hard ground and hoof prints left behind by phantom horses! The intersection of Laurel Canyon Boulevard and Lookout Mountain Road in Hollywood isn't just famous for being the supposed location of the Houdini Mansion (it's not, Houdini never lived there), it's also haunted by a ghostly old fashioned carriage pulled by two spectral ghost white horses! At least a few accidents have occurred at the intersection supposedly from drivers trying to swerve to escape the ghost carriage and its horses. The horses' hooves make no sound, and the entire horse and carriage moves super fast, coming and going in just seconds. People have seen the apparition as they come down Lookout Mountain Road and then turn left onto Laurel Canyon Boulevard. So the specter of "Houdini" and a ghost carriage, all at the same intersection. Mills College in Oakland is filled with ghosts and spirits having multiple haunted buildings. It also has a ghostly horse drawn carriage that races down a service road behind the two dormitories, Mary Morse and Ethel Moore. The service road is on a hill, one side sloping up towards the residence halls, and the other side dropping off into a wooded area. On bad nights, the carriage speeds down the service road, before losing control and falling off the side of the road. It then vanishes from sight! The scene of the incident supposedly repeats itself. Outside the town of Santa Ynez, in Santa Barbara County, along the narrow roads that head west towards the Danish town of Solvang, a black stagecoach has been spotted. Pulled by four black horses with a driver in a tall black hat, the stagecoach has appeared in Indian legends, as well as early settlers from the area. Legends state that such coaches have appeared when the Devil is ferrying evil souls off to Hell. Most accounts of the black phantom stagecoach describe it as coming out of a black cloud, passing completely silently, but fast-moving, past the observers. Lanterns have been seen on the sides of the coach, allowing observers to see an old woman dressed all in black inside the coach. Sightings have been as recent as the late 1980s.